Gray Matters is a personalized senior care management and consulting company providing individualized geriatric care management to families throughout the San Antonio area including Bandera, Boerne and New Braunfels, Pleasanton, and Seguin, TX. A Geriatric Care Manager is a professional who specializes in assisting older people in their significant others in meeting their long-term care needs. 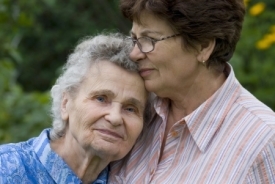 Geriatric Care Managers have training in gerontology, social work, nursing and counseling. 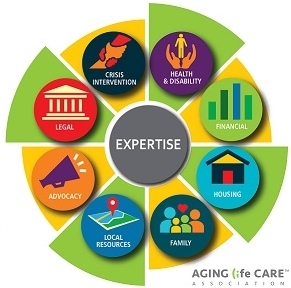 These dedicated individuals can help you care for an aging family member utilizing their extensive knowledge about the cost, quality, and availability of services with your community. In order to best meet your needs, we do not accept payments from outside organizations. 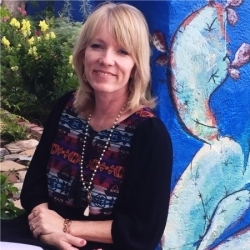 My love of older adults began at the age of eight while spending time after school, weekends and summers volunteering at a nursing facility close to my home. This is where my love for seniors developed and still continues today. I fed the blind, helped with activities, assisted the physical therapy department, and most importantly sat with surrogate grandparents and listened to their stories. Fortunately, I was allowed to learn from the ground up what it was like for residents to live in an institutional setting and wanted to make a difference. My career in geriatrics began as a social worker in nursing facilities, I then managed geriatric mental health clinics, conducted sales for retirement communities, operated Gray Matters in Austin, Texas, taught Geriatric Care Management at Austin Community College and operated an assisted living community. I acquired a Master’s in Social Gerontology with an emphasis in Adult Learning and am a member of the Aging Life Care Association. I have spent my career advocating for seniors and providing support and results-oriented advice to assist caregivers and families. My objective is to help seniors remain at home if this a safe and financially sound choice. As a Geriatric Care Manager I specialize in assisting older people and their significant others in meeting their long-term care needs. I have training in gerontology, social work, nursing and counseling. It is an honor to be a part of the lives of my clients and their significant others. Contact me today at (210) 363-3554 to schedule a consultation to discuss available options and resources, or complete the Request for Information form below. If I am unable to assist your with your needs, I will refer you to agencies that can.